Summer is almost over but, at least here in Hawaii, the heat is still on! 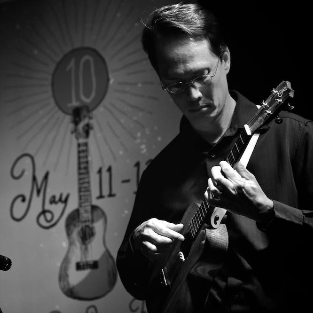 This month on Uke Lessons, you're learning one of the greatest summertime ukulele songs - Tropical Hawaiian Day by the Ka'au Crater Boys. For all of the uke-playing kids growing up in Hawaii in the 90s, being able to play this song meant that you were an official "ukulele player" - it's easy enough to learn (with lots of practice and determination) and sounds fancy enough to impress all those "local babes" at the beach (be sure to watch the lyrics in the Play-Along to know exactly what we mean). Check out the tutorial above, practice each section of the picking slowly, and have fun with this one! All of you UU+ members, sign in to see the TABS (linked above), and watch the slow downs for each picking part by clicking on the links below to supercharge your progress with this song and learn it quick. And as always, if you need help or have any other questions at all, send a message - we're always here for you! Love this song! Always on the radio and such fun picking! Yes! I’ve tried taking this to my local club, but had a hard time since hardly any of them have heard it before — now I can send them the link to this lesson ahead of time and give it another try. Start listening to KPOA.com live stream. Its a local Maui station and plays this often – as well as other great Hawaiian contemporary or nostalgic songs. Good fun.